It usually takes me a couple of viewings to make my mind up about the episode which heralds the return of “Doctor Who” and I suspect that “The Bells of Saint John” is no exception. For some reason – wanting to ease the wider audience back into the rhythms of the show, to introduce new characters, to just have fun with the premise – it always seems to me as if the opening salvo of each series is a little lighter and somehow less substantial than the episodes which come to follow. Not that this is bad or ill-advised, per se, but I never quite feel that the Tardis is fully firing on all cylinders until episode two or three (Technically, of course, this is episode seven of series seven, so my misgivings shouldn’t apply). The story dealt with a very contemporary fear – the extent to which technology enters our everyday lives and encroaches on our freedom via our inability to deal with it, which is a notion that I’m sure strikes a rueful note for any brave soul ever charged with the dire responsibility of providing technical support for computer-averse friends and family. The villain of the piece this time utilised dear old endlessly useful wireless internet signals and used them to…do nefarious stuff. I’ll not go deeply into spoilers, but the methodology of the Big Bad in this episode didn’t quite ring true for me on this first viewing – it smacked a bit of that notion ‘because…science?‘, which probably plays quite well with folks who view their modem and router as terrifying technology daemons which inhabit their living rooms and blink malevolently at them several times a second for no good reason. The villain was, it may come as no surprise at all to you, hardly a match for The Doctor but the bad guy’s machinations did give Matt Smith‘s big kid in funky Edwardian clobber a chance to meet cute again with Clara – a charmingly sparky and energetic Jenna Louise Coleman – who we last saw in the Christmas special, having just died for the second time. Clearly, her nature and repeated appearances in vastly different times and galactic locales will constitute an ongoing mystery and its to current “Who” show-runner and gigantic brainy overlord Steven Moffat‘s credit that you do want to know what her deal is and how she’ll come to affect the Doctor’s in the rest of the season. 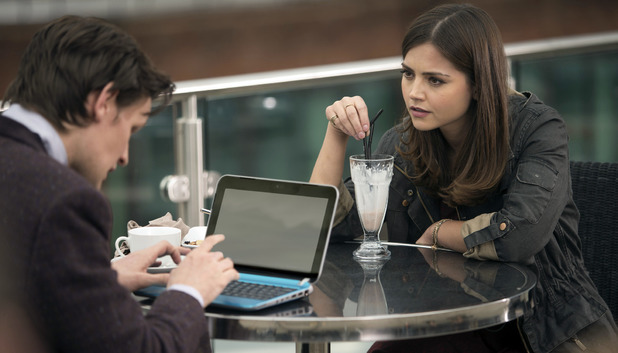 I’ve read one theory to the effect that Clara constitutes a kind of Moorcockian ‘Eternal Companion’ and it would be interesting to know just what Moffat would do with that idea, were it to be an accurate assessment of just how the expiry-prone Clara fits into his master plan. The story rattled along nicely, sure enough, but it didn’t seem to add up to much on first viewing – save for a last-minute appearance by a malevolent character we saw quite recently, albeit in somewhat different form than the last time that we encountered them (vague enough for you? ), this was essentially stand-alone, monster-of-the-week stuff. I suppose it’s daft to feel that the Doctor is ever really going to be truly challenged by the menaces he encounters, but this was somewhat a case of the Doctor waving his Sonic about, loudly asserting his intellectual dominion and then saving the day because he’s The Doctor and that’s his gig. No real sense of the day not being saved – and so not much dramatic tension as a result. First episode syndrome, and no mistake. I don’t do ratings – meaningless things, be they numeric or arbitrary and letter-based – but if I did, I’d probably say this was a solid B-plus, perhaps an A-minus. 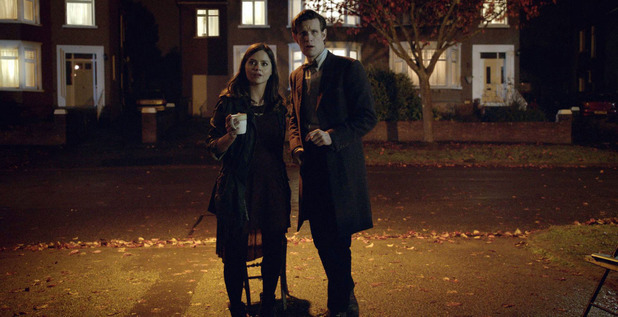 Extra marks for Clara rushing into the fray still carrying her cup of tea. A nation salutes you, fine miss. “Doctor Who” returns on Saturday March 30th on BBC 1 with new adventure, “The Bells of St John”. 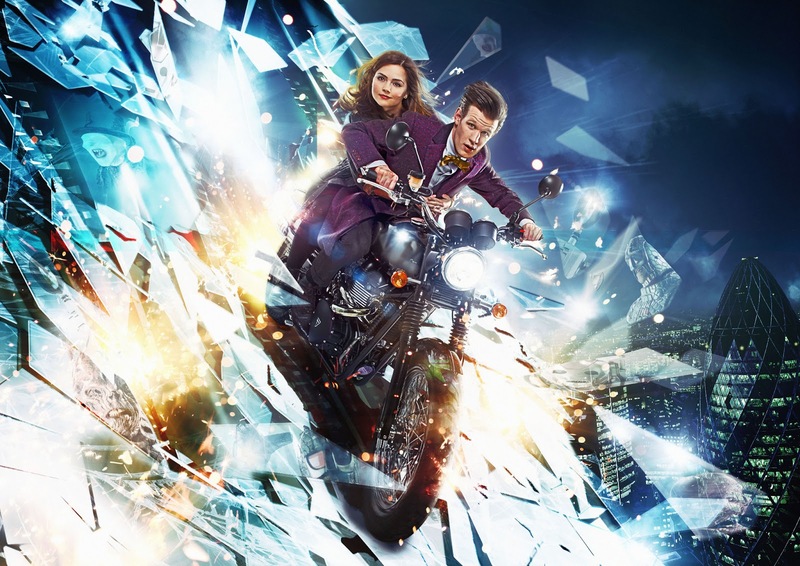 And boasts totally legit, motorcycle-surfing-down-the-side-of-a-skyscraper shenanigans to hopefully distract us all, momentarily, from Clara, The Question and other matters which monopolise the thought processes of Whovians large and small alike. 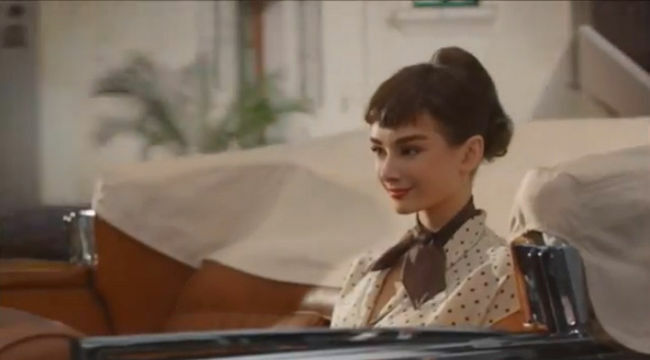 A virtual Audrey Hepburn, digitally returned from the beyond…to sell us chocolate bars. The business of resurrecting deceased stars of yore in order to pimp products is nothing new – in recent years, Chanel have made fragrance adverts featuring current brand ambassador Charlize Theron rubbing shoulders with former Chanelistas Marilyn Monroe and Grace Kelly backstage at a fashion show, for example. Death is no longer an escape from being compelled to flog somebody else’s merchandise. It’s quite a good attempt to render the gamine Anglo-Belgian icon anew for Generation iPad, who are perhaps more familiar with her photographic afterlife than her exemplary filmography – Indeed, if you want to class up the joint, there’s still no better way to do that than to put a Holly Golightly print up on the wall of your apartment. She’s everyone’s favourite style pin-up, isn’t she? I’m still a little nonplussed by the default merch angle with these digital recreations. Is it better to have such Frankenstein-esque acts of virtual revivification performed in bite-sized advertorial chunks like this, saving us the horrific prospect of “Casablanca 2: Sam’s Revenge” with a digitally revived Bogie and Bergman running virtual rings round Nazi ne-er do wells? Or should we just admit that the likes of Katherine Heigl and Gerard Butler are but poor substitutes for actual stars and go crazy with the rendering farms, introducing today’s cinema goers to new flicks from Hollywood’s golden age stars? 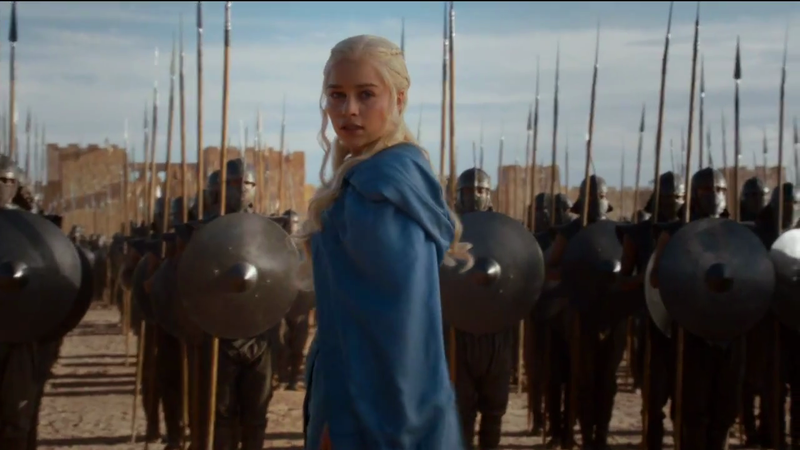 “Game of Thrones” season 3 – Dinklage, Dragons, Flaming Swords – oh my! Full disclosure time, fellow nerds – I didn’t get on with “Game of Thrones”, at least in its television adaptation form. I have yet to look at the books. As many of you will be loving George R.R. Martin‘s grim saga of politics, family and fantastical realms, it would be remiss of me to not remind that there is a new trailer for the reasonably imminent season three now available. 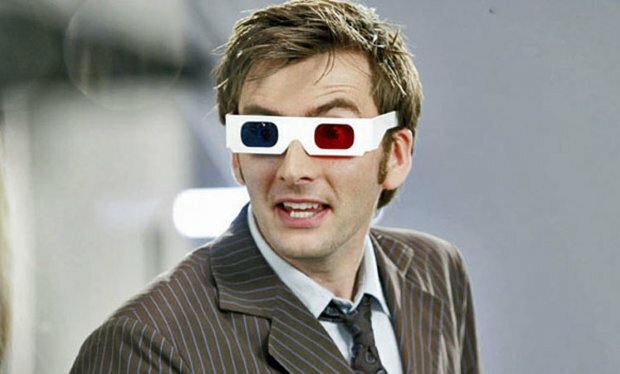 “Who” 50th Anniversary Special – 3D timey-wimey frenzy! The Doctor is celebrating his fiftieth anniversary this very year and the isn’t being shy and retiring about giving the Galloping Gallifreyan his due. Cue an monster-stuffed, action-packed anniversary special blow-out of an episode which is now to be broadcast – to those with suitable televisions from the space year 3000 – in 3D. So, yay? Word reaches us via The Guardian – as yet unconfirmed officially by those cards-close-to-the-chest BBC folks – that this special will also be shown in cinemas, though there’s no word yet as to the extent of the release, or whether this is a 2D-to-3D conversion or your actual, native 3D experience. The prospect of cinematic “Who” goodness is quite enticing, though, isn’t it? Your obligatory, contractually stipulated Jenna-Louise pic. 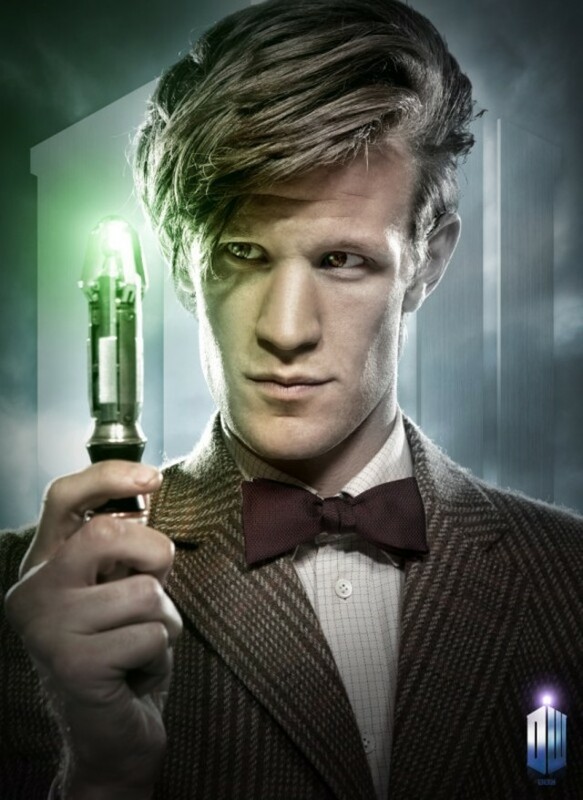 Matt Smith‘s be-quiffed visage looming large and in three dimensions? Souffle Girl winking at you from the stalls? Classic “Who” Monsters running amok? I have a love-hate relationship with 3D – on one end, the Cameron/Paul W.S. Anderson/”How To Train Your Dragon” end of the scale, on the other, goofy conversions which bring nothing to the party. But – this? This is something that I want to be good, and that I would love to see on the biggest screen possible. Make it happen, cash-strapped, politically on the ropes, brilliant BBC! “Thunderbirds” are go (in 2015)! Well, this is good news – Weta Workshop and the UK’s CITV are apparently teaming up to make a new “Thunderbirds” tv series. 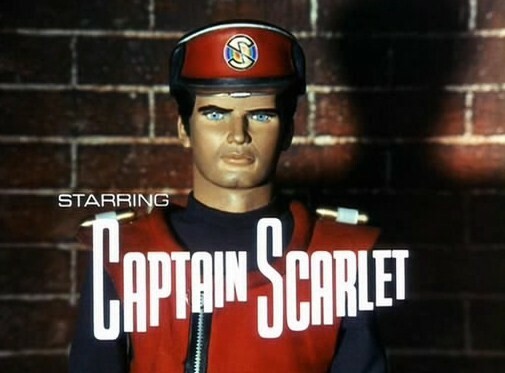 Expect it to air in around two years time, with a ‘unique blend of CGI animation and live action model sets’ bringing the classic SuperMarionation heroes and heroines back to live for a generation raised on the kind of game-changing effects which Weta seem to produce as standard. 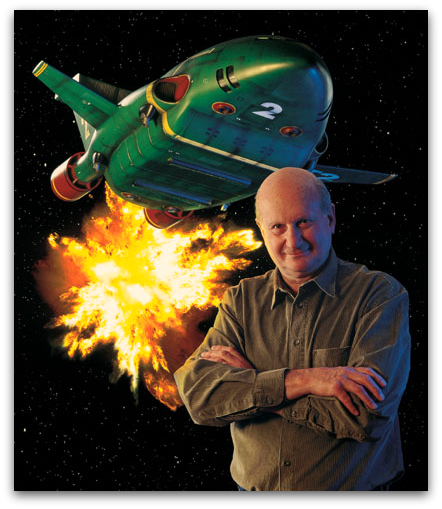 Well, this is certainly news that I didn’t want to read today – Gerry Anderson, tv Sci-Fi pioneer and beloved icon of British nerds, has passed away at the age of 83. I’m not sure how much Anderson’s career resonates with American readers, but to British nerds of a certain age Anderson’s marionette-powered sci-fi action adventures were a regular and welcome injection of derring-do and thrilling storytelling on kids’ tv before the era of on-demand tv and internet made finding such gems somewhat easier. If I throw out some titles – “Thunderbirds”, “Captain Scarlet“, “Stingray“, “Space: 1999“, “UFO“, my personal favourite “Terrahawks” – you might get an idea of what I’m talking about. Yep, mostly marionette-driven, mostly irony-free adventures which seemed like they came from a different time even when I was watching them as a kid. But they were arguably key in getting me into the kind of sci-fi adventures that I grew to love – this was a time when you couldn’t see “Star Wars“ whenever you wanted (VHS wasn’t yet remotely affordable), and any TV show which took you into space, under the sea or into uncertain alien territory was like delicious catnip to a youthful Fluffrick. 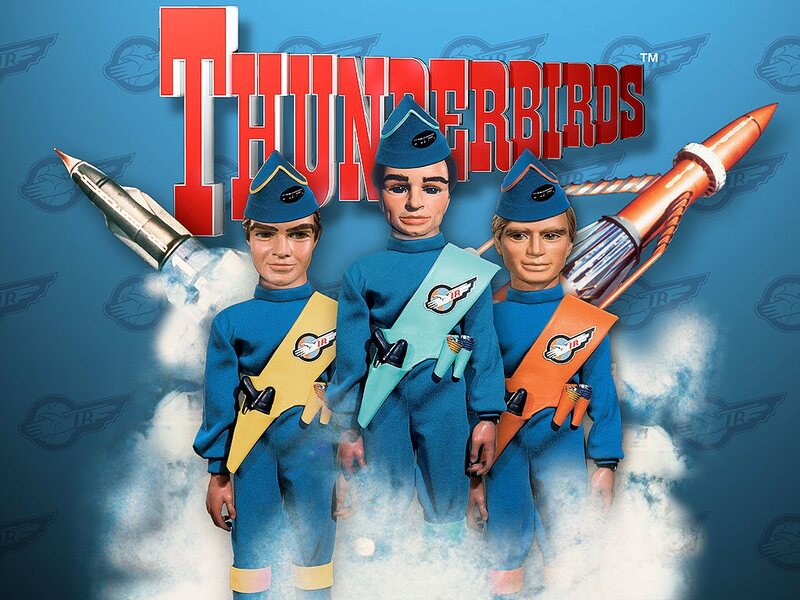 I suspect that most younger readers might have only encountered “Thunderbirds” through the enjoyable but not entirely successful live action Jonathan Frakes film from 2004, which at least managed to keep the best things about the show – the epic-in-scale, perilous rescue missions, largely eschewing violence as a solution to problems, even going so far as to find actors to play the Tracy brothers who were somehow less convincing than their marionette counterparts – and boasted one genius performance from Sophia Myles as Lady Penelope. Anderson died peacefully at noon today – he had been suffering from Alzheimer’s Disease since 2010. And his brand of energetic, breathless storytelling will be deeply missed.